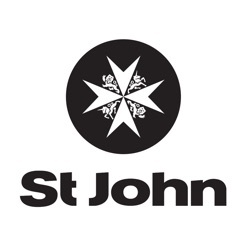 St John is the leading provider of first aid training in New Zealand as well providing ambulance services to 90% of the population. 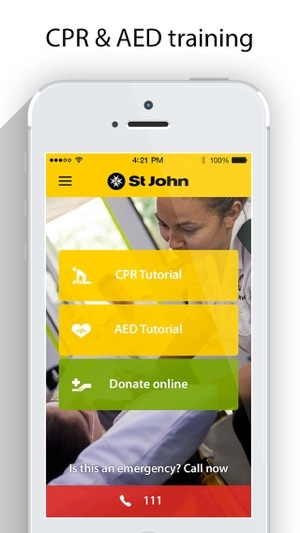 Our app teaches the life-saving skills of cardio-pulmonary resuscitation (commonly known as CPR) and shows you how to use an AED (automated external defibrillator). 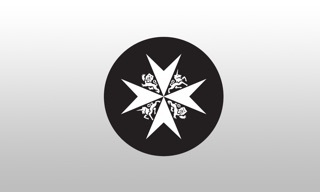 Knowing how to save the life of a family member, friend or colleague is vital - you never know when you might need to and this app is completely FREE. 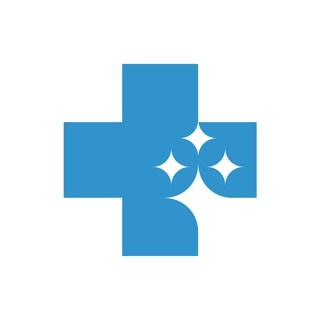 The app is compatible with any device running iOS 7 and above. 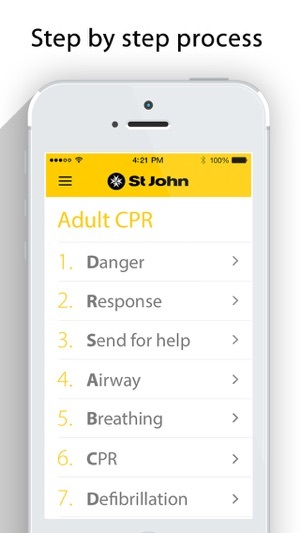 While good to see St Johns putting official info / instruction in the iPhone app space; there is little innovation recognizing the power of the smartphone platform. They would do well to look at some of the other first aid apps that use video / audio / ebooks that provide complete first aid instruction. Even Jamie Oliver has a 100mb+ app and that's for cooking. 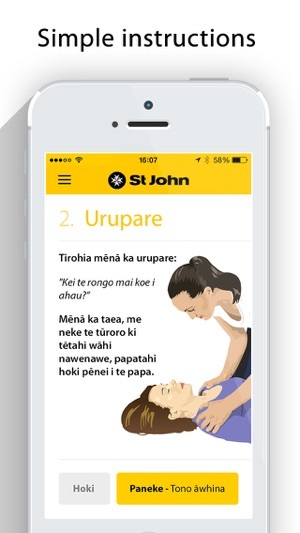 I hope we have a single NZ wide app, not 1 for CPR, 1 for bandages, 1 for poisons, etc. 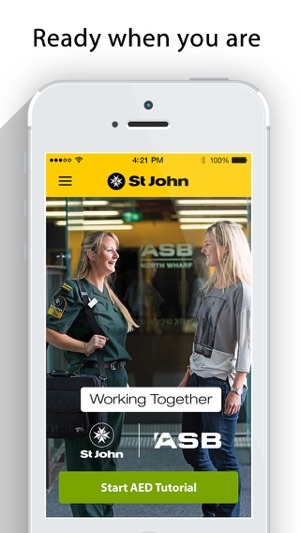 Great to see a New Zealand first aid app, but it's very basic. 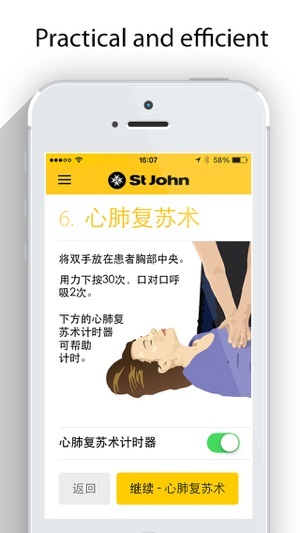 App just has a basic slideshow arrangement for the steps of CPR and the ol' 30 compressions / 2 breaths. And a button to call an emergency number. That's it. No timing for babies/kids, no info on how far to compress / how much rescue breath to use, no info on how to handle different hazards at the scene. No instructions on how to handle other situations like fits/bleeding/choking.